DK Workbooks: Spelling: First Grade is a great tool to supplement school curriculum help your first grade student learn spelling concepts. DK Workbooks: Spelling are user-friendly workbooks are the easy, at-home way to support schoolwork with targeted practice. 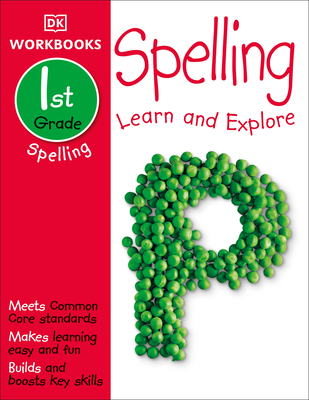 Available in four curriculum-supporting levels, DK Workbooks: Spelling reinforces concepts such as vowel sounds, consonant blends, syllables, plurals, and verb endings in exercises that support the Common Core State Standards and cover everything students need to know about spelling. On each clearly organized worksheet, summary fact boxes offer an at-a-glance introduction, identifying the key concepts being practiced. Concepts carry over from page to page, strengthening skills through repetition while offering fresh challenges with every exercise. And with a parents' section filled with answers, tips, and guidance, caregivers have easy access to all the expertise they need to help their children learn spelling.